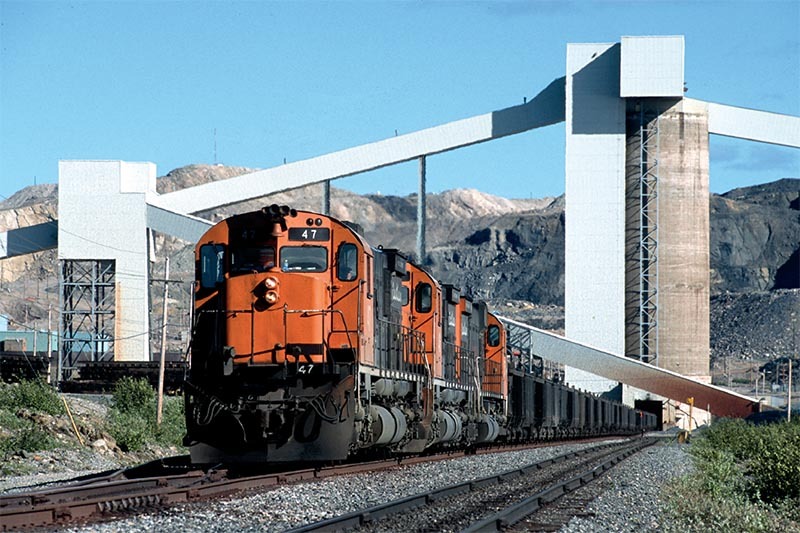 June 13, 2001, finds a train loading at QCM’s large mine and concentrating plant at Mont Wright, Quebec. In late May 2000, my wife and I departed our hometown of Duluth, Minn., for an enjoyable vacation along the beautiful north shore of the St. Lawrence River in Quebec. As part of that vacation, I explored the possibility of making another trip to the area to photograph ore trains on the former U.S. Steel iron ore railroad Cartier Railway, operated by Quebec Cartier Mining. 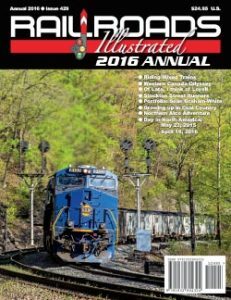 I spent a day on the south end of the line and decided that a full railfan trip the following year was in order. This is the story of that trip. Helping cement the decision to photograph Cartier in 2001 was the fact that QCM had ordered 12 new General Electric AC4400CW locomotives for delivery the following spring. 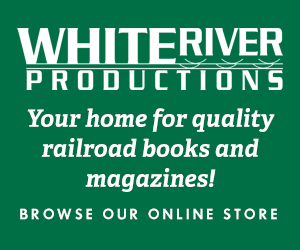 Given this news, I elected to make the pilgrimage to remote northeastern Canada to shoot the firm’s 21 large six-axle Montreal Locomotive Works M636 models, three Alco C-636 units, and a lone C-630, plus seven smaller four-axle MLW RS-18s. At the time of our trip, Cartier planned to keep eight rebuilt 636s on the roster after the new GEs arrived in 2002. This railroad holds a special place in my heart — it was the final resting place for Duluth, Missabe & Iron Range’s Alco diesels: six RSD-15s (scrapped in 1988) and ten former DM&IR (ex-Union Pacific) C-630s, all of which except number 34 were scrapped in 1990. Another tie to Minnesota is the fact U.S. Steel began exploring and subsequently developing iron ore deposits in far eastern Quebec during the 1950s and built its subsidiary Quebec Cartier Mining to tap those reserves starting in 1960. This mining expansion was in response to declining direct-shipping ore reserves on Minnesota’s massive Mesabi iron range, where U.S. Steel operated numerous mines and today still owns and operates its large Minntac plant, as well as Keewatin Taconite. Accompanying me on this week-long trip were fellow iron ore railroad fans Gene Hetherington and Barry Lennon. We planned the trip for mid-June when the days would be long and hopefully after the typical rainy and cold spring weather pattern had given way to more summer-like sun and warmth. We were fortunate that we experienced sunny weather almost every day we were there and unseasonably warm temperatures reaching into the low 70s (Fahrenheit). 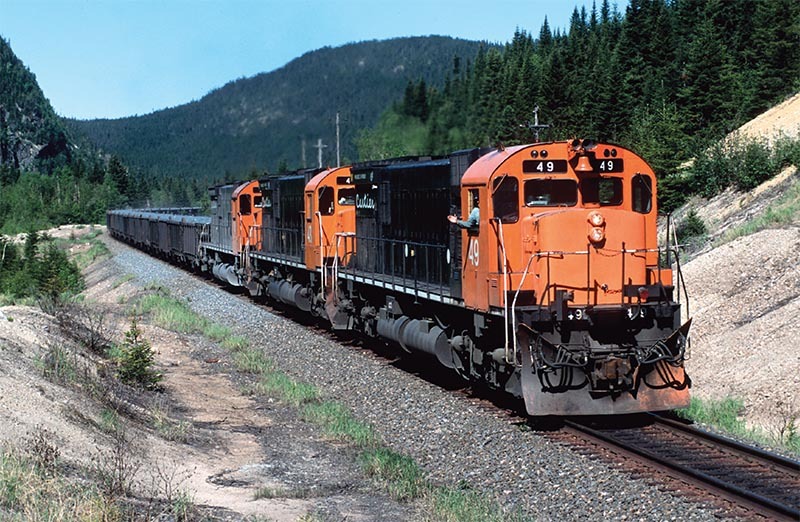 A side trip to Cleveland Cliffs-owned Scully Mine near Labrador City produced several images of Wabush Lake Railway Alco RS-18s. Departing Duluth on Northwest Airlines in late morning, I was in Minneapolis by noon, where I hooked up with Gene, a St. Paul resident. After a quick lunch, we boarded a direct DC-9 flight for Montreal. A good omen for our adventure occurred not long after our flight departed the Twin Cities. I looked out the window and saw the large Tilden and Empire iron ore mines in Michigan’s Upper Peninsula bathed in bright sunlight. Upon arrival in Montreal at 4:30pm, we met Barry, our third traveling partner, who was waiting for us at the Alamo rental counter. Although Cartier’s operation is more than 500 miles northeast of Montreal, the big city offered the fastest and best airfare from Minnesota, as well as a great deal on a rental car. After we picked up our rental, we promptly tried to get through Montreal at 5:30 in heavy rush hour. After an hour of stop-and-go traffic, we were blasting toward Quebec City. Knowing the drive from Montreal to Cartier was to be long, we elected to spend the night in Quebec City. Upon arrival there at roughly 9:00 p.m., we checked into our hotel and tasted the nightlife in the old historic quarter. My wife and I had spent a few nights here during our 2000 vacation, so I played tour guide, and we had a great time. 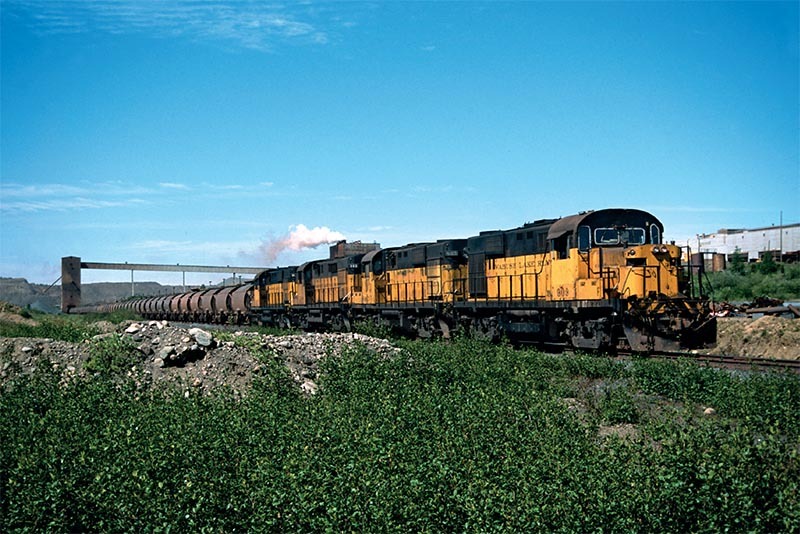 Engineer Jim Redmond provides a friendly wave from 49 as his loaded ore train rolls south near Baker on June 10, 2001. Jim was extremely helpful by providing operating details that allowed us to plan a productive trip. After a reasonable 9:00 a.m. departure from the hotel under mostly sunny skies, we started the long trek to Port Cartier. Our only stop was at short line Charlevoix Railway in Clermont. This line operates a 92-mile former Canadian National branch between Clermont and Quebec City along the St. Lawrence River. The line’s three ex-CN black and yellow SW1200RS switchers were at their small yard where we snapped roster shots. A quick stop in the larger town of Baie-Comeau was next to see if the paper mill’s GP9s were there. They were, but the sun angle prevented decent shots, so we continued northeast. Arrival at Port Cartier in late afternoon had us checking into our hotel (Motel Le Chateau). Our first image of the Cartier turned out to be an early evening glint shot of three M636s leading a 156-car ore train downgrade into the yard at Port Cartier. Here, we met Brad Plets, who had driven from Eau Claire, Wis., and was shooting video for a Cartier tape he planned to release.